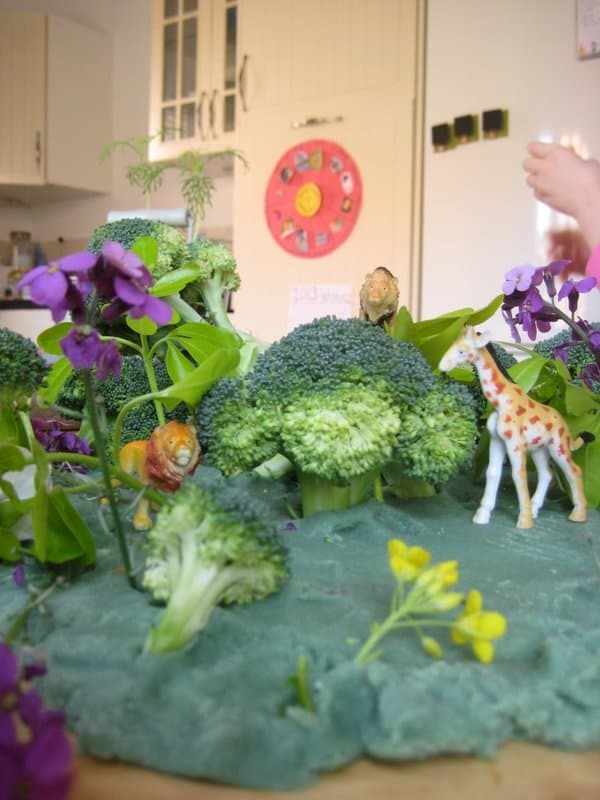 Some homemade play dough and a few loose parts, together with a child’s imagination, soon make a fabulous jungle small world. 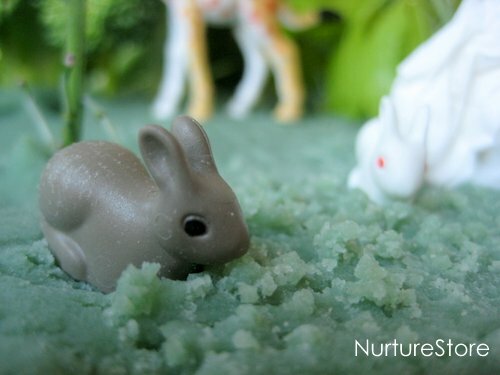 Here’s one way we use play dough for imaginary play and story telling. 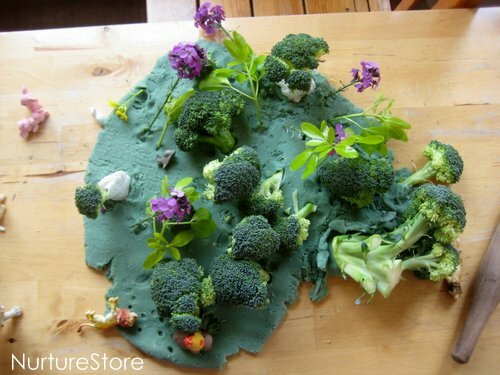 On offer today we had some homemade green play dough, some leaves and flowers picked from the garden, and a few stalks of broccoli. What could we make? and then began adding in all the loose parts we had available. 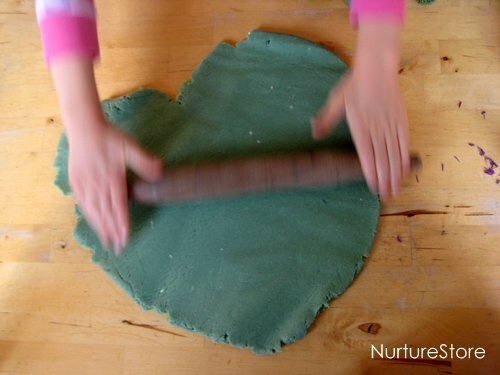 Play dough is a great material as the base for a play scene – the children can mould it, shape it, and it’s good for holding up other materials, such as our flowers and leaves. Now her jungle small world might not be exactly true to life, but her play was packed with chatting, imagination and story telling. and to try out creative ideas – such as fetching a fork from the drawer to see it she could make some grass for the rabbits. 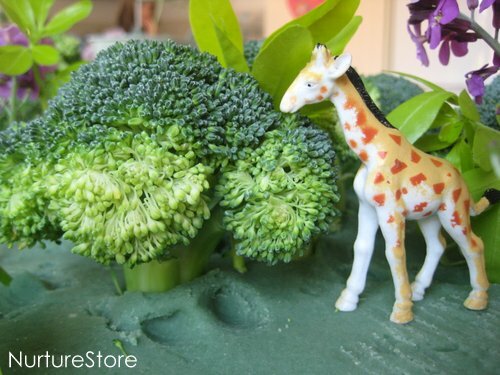 And play dough small worlds are perfect for story telling. These lions are called Leo and Athlete and feature in lots of her stories. I tried homemade play dough for the first time yesterday using your master class recipe. IT WAS FANTASTIC. Hours and Hours of FUN. A big hank you. 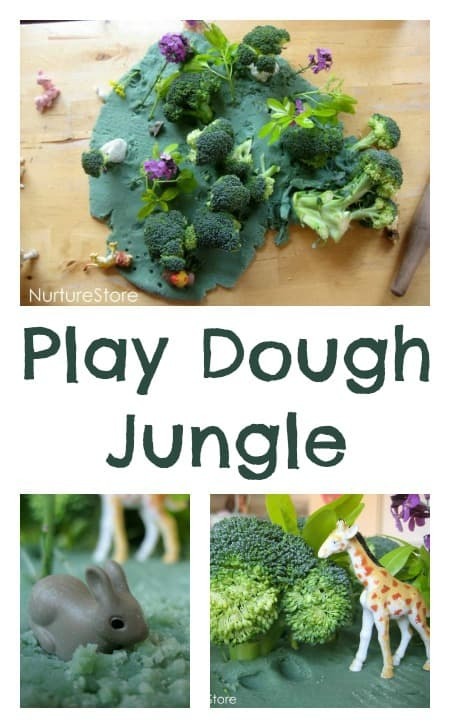 I made red and blue play dough, and this morning my 4y daughter asked if I can make her green one 🙂 Seeing this jungle project, I will definitely make her the green play dough, get our small animal toys and get creative. 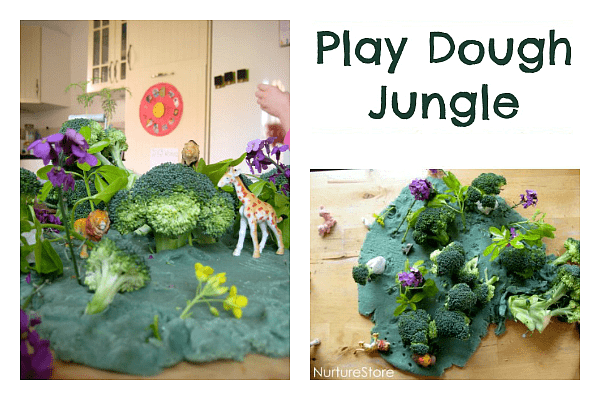 So I have 2 of your digital books including play dough recipes – anything different for the jungle play dough ? 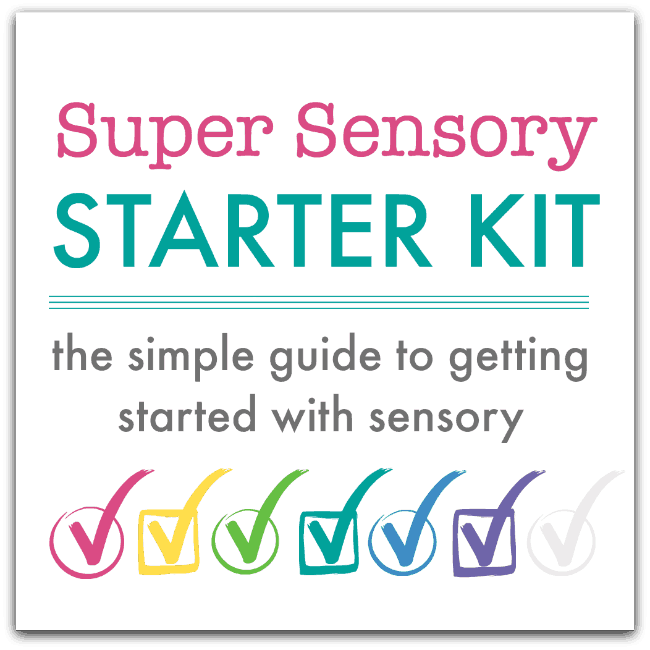 I am volunteering in my toddlers Montessori for Earth Day and thinking of making little kits if this forvtge kids. Which basic recipe should I use from your book ? Hi Kaushambi. I always go with my no-cook recipe. 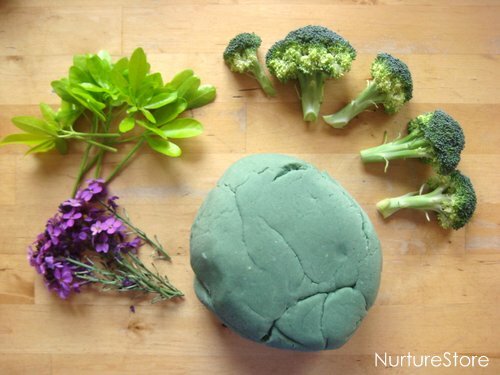 That’s in the Play Dough book, and here – just add some green paint or food colouring. Have fun! Thank you for your prompt reply Cathy !